Situated on the shores of Lake Eildon in the high country of Victoria, Goughs Bay Holiday Cottages offers comfortable self-contained, pet friendly cottage accommodation. Located close to boat ramps available, it’s the ideal choice for your next holiday; with ample options around, such as fishing, water sports, off road activities such as mountain bike and motor bike riding. If that is not enough, there are plenty of trails in the hilly terrain for walking or four-wheel driving. Goughs Bay has a maze, general store, restaurant and a boat club which is open to visitors. Located only 15 minutes from the centre of Mansfield where there are many cafes, eateries, hotels and a variety of gift stores and Mt Buller is approximately 45 minutes drive for the visitors interested in snow activities in winter and mountain biking in the summer months. In the district there are also wineries, horse riding schools and even a zoo; so many interesting and varied things to entice you out of the city and into the country for a breath of fresh air. 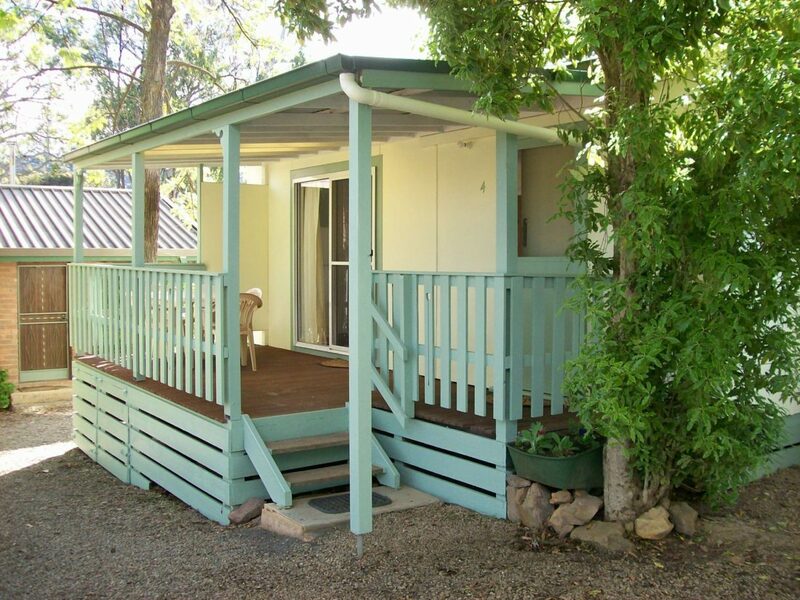 Cottage one is a studio style cottage consisting of one double bed and one set of bunks. The cottage contains a kitchenette with gas cooktop, microwave oven, full size fridge and all utensils toaster and kettle. In addition there is reverse cycle heating and cooling, television with built in DVD player, separate bathroom with shower toilet and vanity unit, covered deck with outdoor setting and a shared barbecue area. Bring all your own bedding and towels. Cottage two is a studio style cottage consisting of one queen size bed a fold down futon couch with a bunk above. In addition the cottage contains a kitchenette with gas cooktop, microwave oven, full size fridge, all utensils, toaster and kettle, reverse cycle heating and cooling, television with in-built DVD player, separate bathroom with shower, toilet and vanity unit, covered deck with outdoor setting and a shared barbecue area. Cottage three is a studio style cottage consisting of one queen bed and two sets of bunks. The cottage includes a kitchenette with gas cooktop, microwave oven, full size fridge, all utensils, kettle and toaster, reverse cycle heating and cooling and a wood fire for cosy winters, television with built in DVD player, separate bathroom with shower, toilet and vanity unit and under cover deck with outdoor setting and barbecue. Cottage four is a studio style cottage consisting of one queen bed and two sets of bunks. The cottage contains a kitchenette with gas cooktop, microwave oven, full size fridge, utensils, kettle and toaster, reverse cycle heating and cooling and a wood fire for cosy winters, television with built in DVD player, separate bathroom with shower, toilet and vanity unit and undercover deck with outdoor setting and barbecue.